Dr. Carl Riccoboni is a honor graduate of Loyola University Dental School in Chicago where he received first-rate training in all aspects of general and cosmetic dentistry. He also completed a one-year general practice residency at the Veterans Hospital in San Francisco. 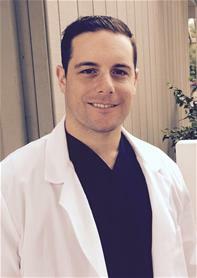 Dr. Riccoboni graduated locally from Saint Francis High School and the University of Santa Clara. He then attended a two-year Masters Program in Molecular Biology at San Jose State University before beginning dental school. Through a combination of state-of-the-art technology and sensible treatment plans, Dr. Riccoboni preserves healthy teeth and gums, alleviates oral discomfort and improves the appearance of smiles on a daily basis. Through his blend of artistic and technical skill, he has produced durable and aesthetic results for thousands of patients. A highly regarded dentist with a grasp of the most innovative procedures, Dr. Riccoboni is dedicated to the lifelong learning through continuing dental education. Dr. Riccoboni is licensed by the Dental Board of California and is a member of the American Dental Association, American Academy of Cosmetic Dentistry, California Dental Association, Northern California Academy of Advanced Dental Studies, and Mid-Peninsula Dental Society. Dr. Riccoboni lives in Los Altos with his wife and three boys. He enjoys sports especially golf, skiing and fly-fishing. Dr. Jeff Riccoboni was born and raised right here in Mountain View, California. He attended Saint Francis High school then received a bachelors degree in Natural science from Loyola Marymount in Los Angeles, Ca. From there he attended the University of Southern California school of Dentistry where he excelled in patient care. Since graduating, Dr. Riccoboni strives to provide the best oral health care to his patients and loves serving his community. Dr. Riccoboni is a second generation dentist and is the fourth dentist in his family. He is dedicated to continuing the tradition of high quality dentistry upheld by his family for the last 30 years. Dr. Riccoboni is licensed by the Dental Board of California, and he is an active member of the American Dental Association, California Dental Association, and Mid-Peninsula Dental Society. 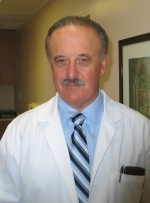 In his spare time, Dr. Riccoboni enjoys spending time with his wife, family and friends. He is a huge sports fanatic, enjoys cooking and loves the outdoors.